TCSJOHNHUXLEY Dice Shakers automated function allows for a fully randomised outcome. The TCSJOHNHUXLEY Dice Shaker is fully enclosed by a glass dome and covered by a removable lid. Dice are shaken in quick succession to randomise the outcome and for increased security, the game is automatically aborted if the cover has been lifted during the shake or at any other inappropriate stage of the game. 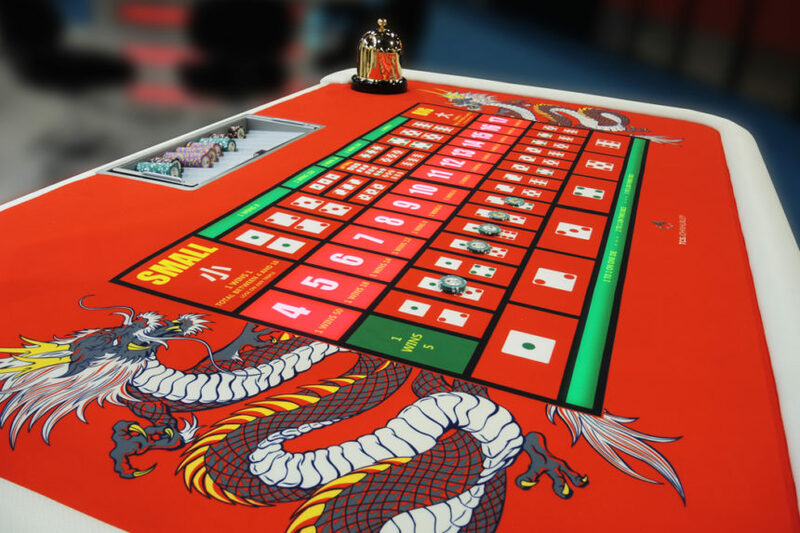 The automated Dice Shaker is fully integrated as part of the Sicbo game electronics, giving integrity to the game sequence whilst protecting against the possibility of a non-shake or double shake of the dice. ADR is a technology that allows the automatic recognition of the dice in a shaker. The system consists of a controller, a camera and lighting assembly that is fitted into a dice shaker cover. There is also a collar that fits over the existing base of the glass dome. The system is designed to be driven from a Sicbo server PC or an online gaming application. On command, the ADR unit will process the dice image from the camera inside the cover and returns the result of the dice in the dome. There is a game status LED indicator built into the handle of the cover to alert when the dice have been verified.